PhoneRescue works on PC and Mac only, but to show our gratitude for your support, you can enjoy an exclusive $10 OFF today – for iPhone & iPad users only. Get the offer now to recover your lost photos, messages, notes, contacts, and more! The sooner you get started, the bigger chance you’ll get back your precious data. PhoneRescue saves my iPhone photos, and messages, notes, or other iOS content. It does what it claims to do. Thank you iMobie! PhoneRescue is simple to use, and it indeed recovers my lost messages, videos, photos and other files from my iPhone. If you're looking for a data recovery tool for your iPhone, this may be worth a look for restoring personal and media data. A swiss army knife for retrieving "mistakenly" deleted iPhone photos, messages, contacts, and repairing your phone. Thanks for your valuable program. Note: 100% money back guarantee if we failed to retrieve what you want. 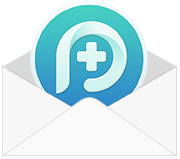 With top success rate in the industry, PhoneRescue helps iPhone and iPad users get back lost SMS, iMessages, MMS, including images & attachments. The sooner you start recovery, the bigger chance you’ll save your vital messages. Max Chance – Retrieve messages from iPhone/iPad, iTunes and iCloud backups, even encrypted backups. 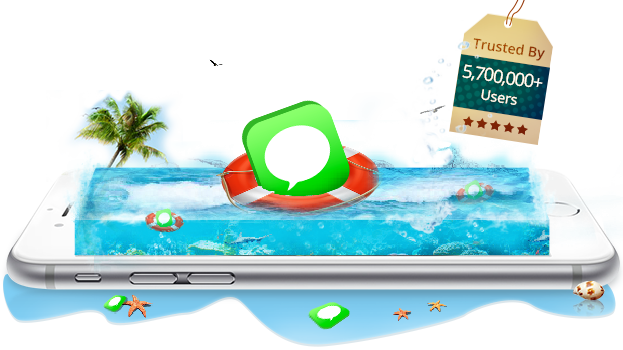 Back to iPhone/iPad – Recover lost messages directly to Messages app of your iPhone/iPad. Preview & Select – Preview all recoverable messages and select to recover those you want, without overwriting any data on iDevice. 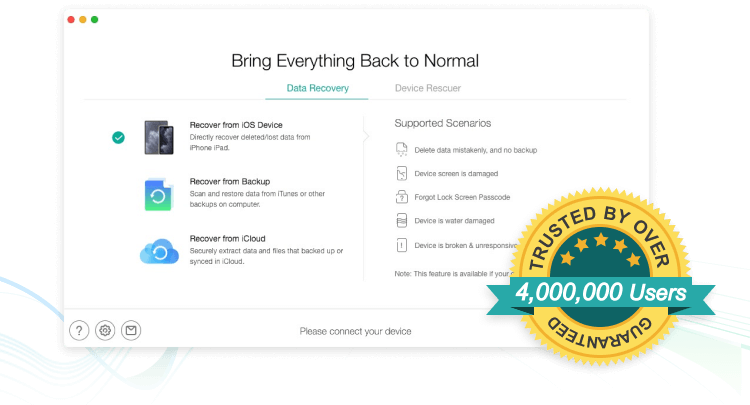 Recover More – Besides messages, also recover photos, notes, contacts, and more data up to 31 types. 100% Guarantee – You are guaranteed to get 100% money back if we failed to retrieve what you want. 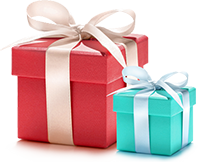 PhoneRescue works on Windows & Mac platforms, but to show our gratitude for your support, we are offering an exclusive $10 OFF today for iPhone iPad users only. PhoneRescue saves my iPhone photos, and messages, notes, and other iOS content. It does what it claims to do. Thank you iMobie! Awesome! It managed to retrieve my lost iMessages and SMS, as well as all the attachments. Great job! A swiss army knife for retrieving "mistakenly" deleted iPhone messages, photos, contacts, and repairing your phone. Thanks for your valuable program. Note: 100% money back guarantee if we failed to recover your messages. Please type your email to get the download link of PhoneRescue into your inbox.